“There’s nowhere that was systematically ignored during the first six months of the program,” said Stephen J. Mooney, an epidemiologist at the Harborview Injury Prevention & Research Center and professor at the UW’s School of Public Health. He’s the lead author of both studies. The helmet study shows that bike share riders may be adopting a casual approach to cycling that doesn’t include helmet usage. Researchers counted the number of cyclists – noting helmet use –at four strategic locations around Seattle: the Fremont bridge, the Burke-Gilman Trail, Broadway Bike Lane and NW 58th Street at 22nd Avenue NW. Researchers found that only one in five people riding bike shares wore helmets. So far, researchers haven’t seen an increase in head injuries among free-floating bike share riders, but they’re watching. It’s important to observe and better understand rider behavior in addition to looking at crash data, Mooney said. The ways people ride free-floating bikes, and where they ride them, and how they fall from them when they crash may lead to a very different risk profile than that of private bike riders. Still, an overwhelming amount of research shows that wearing a helmet helps to prevent serious head injury in a bike crash. The researchers observed fewer cyclists wearing helmets — both on private bikes and on bike share rentals — in areas where there were lots of bike shares. The research finding may be an indication that the adoption of free-floating bike shares may support more casual use, different from commuting or training, in which helmet use is less part of the culture. That’s troubling, but not yet cause to take action, Mooney said. “There’s a lot of nuance in bike safety – we know that helmets protect heads, but we also know that places where more riders cluster usually have lower risk per rider. Obviously, we’d love to see more riders with helmets. But we recognize that not everyone wants to lug a helmet around just in case they decide to ride casually later in the day. So we’re monitoring both ridership and injuries,” he said. The helmet study, published last month in the Journal of Community Health, was co-authored by Bella Lee and Allyson O’Connor of the UW. Funding was provided by a grant from the Eunice Kennedy Shiver National Institute for Child Health and Human Development. In a separate study, published recently in the Journal of Transport Geography, Mooney again looked at bike share programs. This time the research team wanted to see if the benefits of bike share — such as improved health and reduced travel times — were available to all neighborhoods regardless of economic status, race and ethnicity. “Free-floating bikes went everywhere. Pretty much everyone has some access,” Mooney said. 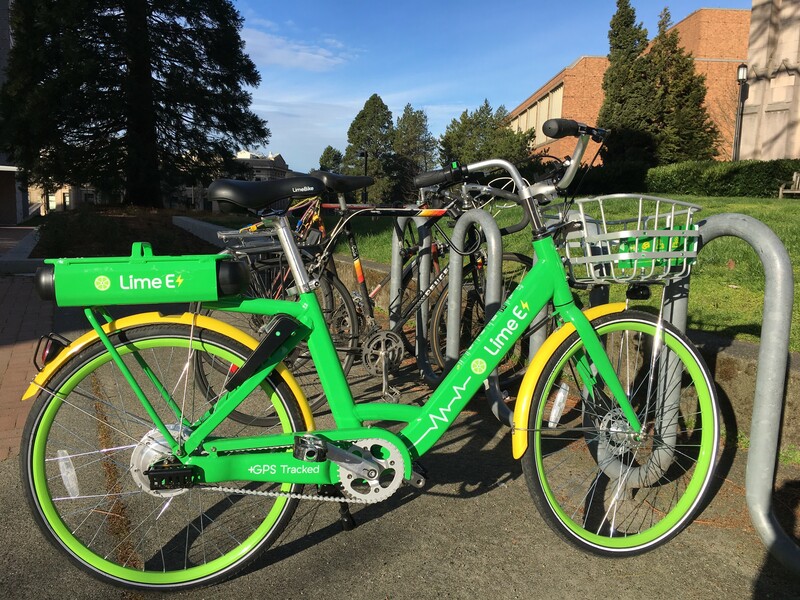 Prior studies showed that docked bike share systems, which are geographically constrained by station locations, tended to favor advantaged neighborhoods. There were not stark differences in availability of the free-floating systems, the research found. Researchers used the aggregate data collected from all the free-floating bike share operators in Seattle and combined that with neighborhood based census data. While the distribution of bike shares was broad, they reported, there was a higher concentration of the rentals in more affluent areas of the city. Co-Principal Investigator on the broader Seattle bike share project is Jana Hirsch of Drexel University. Other co-authors on this paper include Kate Hosford of Simon Frasier University and the University of British Columbia; Alon Bassok, Bill Howe and An Yan of the UW; and Meghan Winters of Simon Frasier University. Funding was provided by grants from the Better Bike Share Partnership, the National Institute of Child Health and Human Development, the National Library of Medicine and Drexel University.